Don’t know how many of you have ever tried to buy a flat? But for those that haven’t, have you any idea how many clothes you can buy during the purchase period? Let me tell you. No clothes. No clothes at all. None. You know one clothes? It’s one clothes less than that. I currently find myself in just such a hinterland, an Upside Down between committing to buy a flat and not yet actually buying the flat. Every available quid is shunted from my grasp into a fiscal penitentiary. The only rule of parole is that it must vanish into a black hole of stamp duty and legal fees. 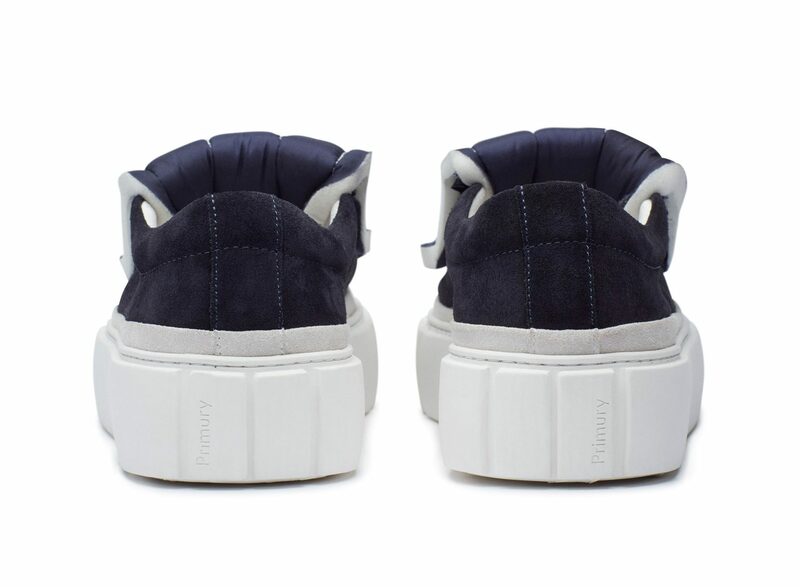 This state of affairs leaves me feeling fortunate that I’m able to even consider buying a flat, while simultaneously sulking like a toddler because I can’t afford these ridiculous trainers. You’re looking at a new version of London brand Primury’s Curio style. 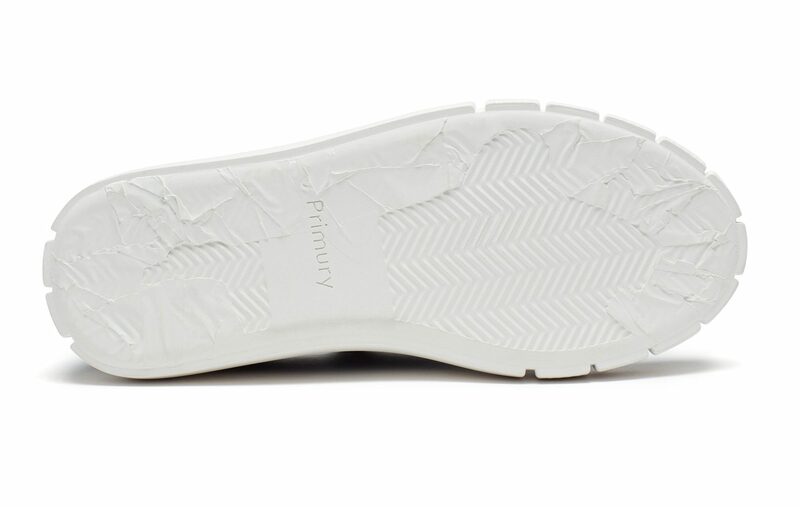 This variant, part of their Col_5 drop, sits on a chunkier, beveled outsole and features a dramatic, foam, topstitched panel on the upper. 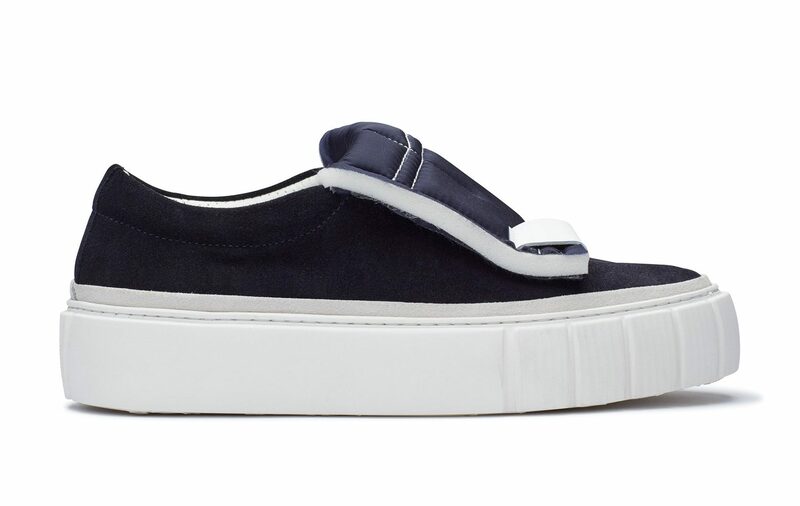 There’s something Comme des Garçons about these, there’s something very 90s, frankly there’s something very Lego . These are cartoon sneakers direct from the scribbles in a child’s colouring book and I seriously love them. The inappropriateness of these as part of a middle aged man’s wardrobe is not lost on me. And it’s probably fortunate that an absurdly expensive domicile is standing in the way of me immediately tossing my coins at Primury. For those afflicted neither by age, nor oppressive solicitor bills, these make a lot of sense. Non-sense perhaps, but at least sense of a sort.